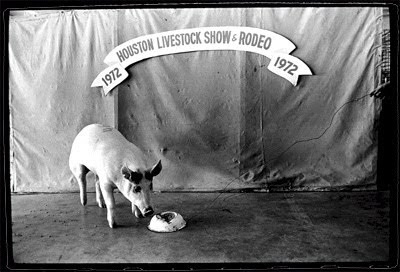 Its Barbecue Cookoff weekend here in Houston, which is the start of the annual Houston Live Stock Show and Rodeo. Having never attended a rodeo before living in Houston my gracious friends have educated me on Rockies jeans, mutton-busting, calf scrambles, and all things Rodeo. 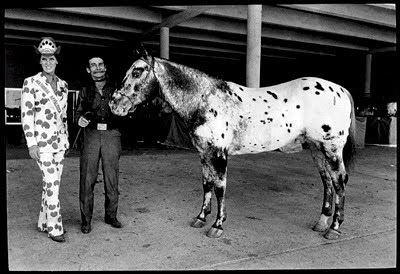 To get in the spirit of Go Texan Day, I am reviewing Geoff Winningham's urban cowboy-esque images from the 70's. Here is to a month of honky-tonk in America's fourth largest city. i love mutton busting! hilarious! and that third picture used to hang in the now defunct Houston boutique Raye- it was fabulous- printed to about a 30x 40, simply framed and hung on a flourescent pink wall! That third pictures cracks me up! Those Rocky Mountain, painted on jeans and the roach killer boots....to dies for!Great post!